When it comes to toilets, everyone has a particular style that they like. Some want a two-piece toilet while others prefer a single piece toilet. Some want round bowls and others want elongated bowls. 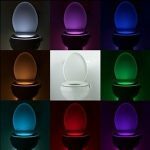 There are color choices and flush options. 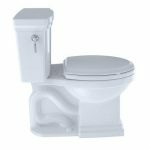 You name it and chances are good, there is a toilet out there that will be what you want for it to be, especially if you are searching for ﻿best TOT﻿O toilets. TOTO is a toilet brand name that has been around for the past 90 years. They have upgraded their toilets to keep up with what people want the most. Most important, they are also affordable. 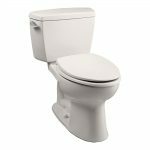 To see what options you have, you can take a look at our TOTO Eco Soiree toilet review. 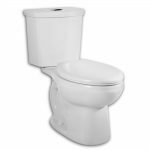 The Eco Soiree toilet is a single-piece elongated toilet that features a chrome plated SanaGloss coating to ensure it always looks great inside and out. The coating helps to ensure that dust doesn’t stick to the outside and waste doesn’t stick to the inside. It has a skirted design that stands proudly with a high profile tank. 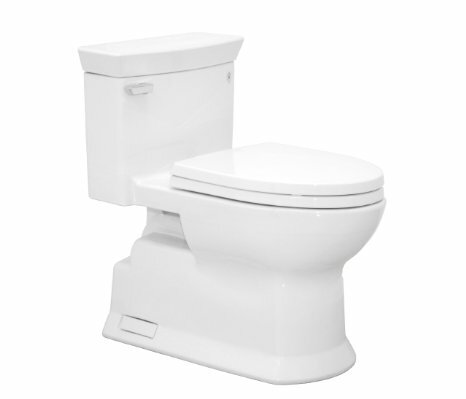 There are decorative features all over this toilet to make it look like a throne you would truly want to sit on. The bowl comes with a toilet seat. The seat is designed to fit on the elongated bowl and is made using the SoftClose feature. This means you will never again have to deal with a toilet slamming closed in the middle of the night. The dimensions of this toilet show that comfort is the key. The length is 28 1/2 inches, height is 27 3/4 inches, and the width of the tank is 17 3/4 inches. The seat height is approximately the same height as a normal chair. It is 17 1/4 inches high. This makes it easier for people with disabilities to get on the toilet and back up again without help. If you are worried about how well it will flush, you should know that it has a powerful flush. 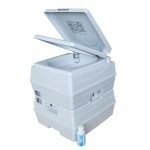 It uses the double cyclone flushing system like the Ultramax II, which means that water shoots out of the tank and into the bowl fast enough to swirl around the bowl. This means you get a fast, thorough cleaning every time you push the flush lever, even though it only uses 1.28 gallons per flush. 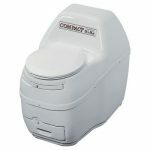 Its definitely one of the best choices for a high efficiency toilet. The Eco Soiree is beautiful enough to fit in any bathroom, regardless of your decorating style. 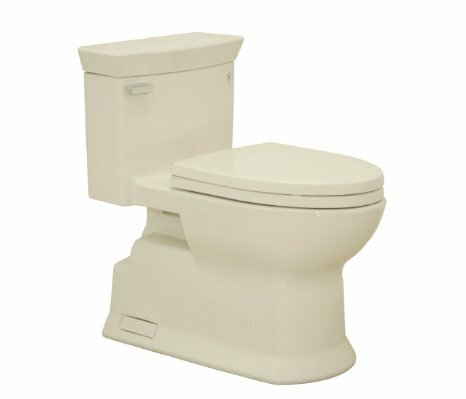 There are toilets available in cotton white, bone, colonial white, and Sedona beige. Which one would you prefer? Do Owners Love ﻿The TOTO Eco Soiree? This toilet does not have a lot of reviews, but it does hold a 4.5 rating online. 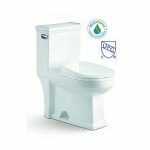 Most owners say that it looks great, flushes very well, and delivery is impressive. They do say that the toilet has a slightly loud flush, but they are willing to have the noise to get the flush that it provides. They love the way it looks. 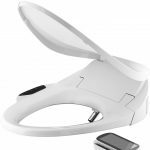 The only complaints are that it weighs 120 pounds, which is heavier than most toilets and that sometimes installation requires you to install a unifit adapter. The good news is; the weight comes as a tradeoff for having a one-piece toilet that is easier to clean. Therefore most people are content to have a little help installing it if it means it looks better for longer in between cleanings. Is This the Right Toilet for You? The TOTO is a simple toilet that only promises to provide you with a toilet that will last. They promise a clean bowl with fewer cleanings by you. If this sounds like something you want, then you cannot go wrong with the Eco Soiree. 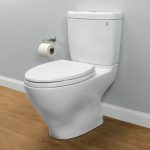 However, if you want a quiet flush that will not wake up someone sleeping right outside of the bathroom, you may want to find a toilet that promises a quieter flush. In the end, it is all about what you prefer and what you feel is most important in a toilet for your home. Ready to Purchase the Eco Soiree? Considering a Wall Mounted Toilet? Here’s What You Should Know. 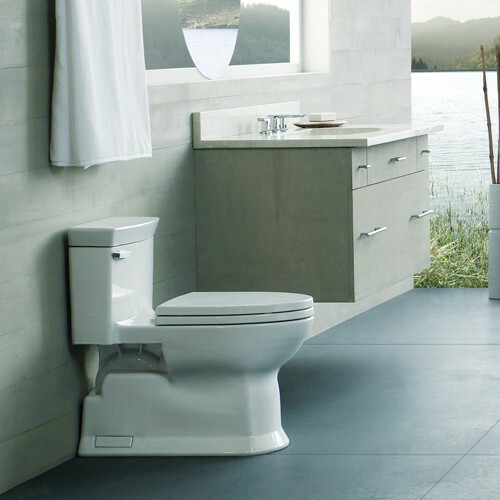 What is the Best Kohler Toilet? Copyright text 2019 by Toilet Review Guide. 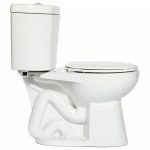 Toilet Review Guide is a participant in the Amazon Services LLC Associates Program, an affiliate advertising program designed to provide a means for sites to earn advertising fees by advertising and linking to Amazon.com.